Department of Economics came into existence with the establishment of University School of Social Sciences in June, 1954 with internationally well-known Economists Prof. B.R. Shenoy as its first Head, who was also Schools first Director. After Prof. B.R. Shenoy�s exit in 1968, the Department also had well known economist Dr. D.T. Lakdawala (who later became Deputy Chairman of Planning Commission) for two and half years as its Head on an honorary basis when he was Director of Sardar Patel Institute of Economic and Social Research, Ahmedabad. During last 52 years of existence Department had several eminent academicians on its faculty, for example, Prof. H.N. Pathak, Prof. Rajendra Kumar, Prof. M.P. Bhatt, Prof. Jitendra Dholakia, Prof. M.S. Trivedi, Prof. J.I. Laliwala, Sri B.V. Buch (who later joined Indian Civil Services under IAS). Department is specialized in various areas of research in Economics such as Economic Policy, Agricultural and Rural and Industrial Development, Fiscal Policy Issues, Urban and Labour Problems and Environmental Economics. (a) Department is involved in post-graduate teaching leading to M.A. and M.Phil degrees. Special areas of specialization include Mathematical Economics and Econometrics, Quantitative Economics, Industrial Economics, Agricultural Economics and Financial Institutions and Markets at M.A. level. At M.Phil level students are offered specialization in Public Finance and Mathematical Economics and Econometrics. (b) At present Department has seven (7) faculty members (2 Professors, 2 Readers and 3 Lecturers) while 100 students are admitted in M.A. Part I and around 24 in M.Phil. 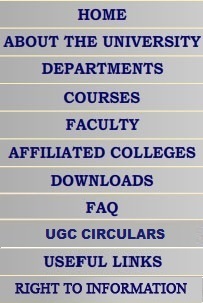 Recently courses has been revised as per University Grants Commission�s guidelines and new areas of specialization viz. Environment Economics, Managerial Economics, Financial Institutions and Markets have been introduced. The faculty is well equipped and experienced. With several years of teaching and research experience, they have risen to high eminence in their respective fields, being professionally connected with the Central and State Government and local bodies, U.G.C., I.C.S.S.R., Taxation Commission, Planning Board, Banking Institutions and national and state educational and research institutions. 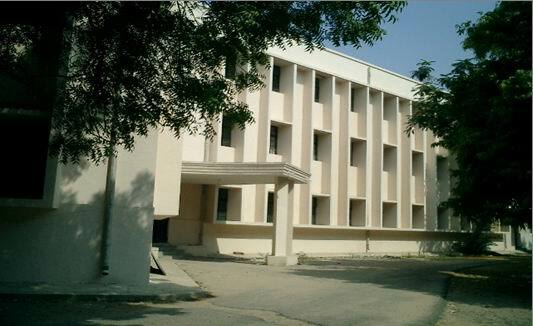 Department shares infrastructure and other facilities for conduct of classes, seminars, group discussion in connection with other departments in School of Social Sciences. As in past faculty members are involved in extension activities participating in seminars, workshops, Refresher courses and are invited occasionally in teaching Programme of other Institutions organized by various institutions. Some faculty members have been involved by Government and non-Government Institutions for providing policy advise and to work on Committees. Future Career Opportunity/ Teaching, research jobs largely available. + Rs. 140/- other fees & Rs. 500/- Exam fee.